In addition to the HTMLy default theme, here are some HTMLy themes that are available for download. Note: This theme not available in the package, you need to upload and extract it manually. Read the README for the installations. 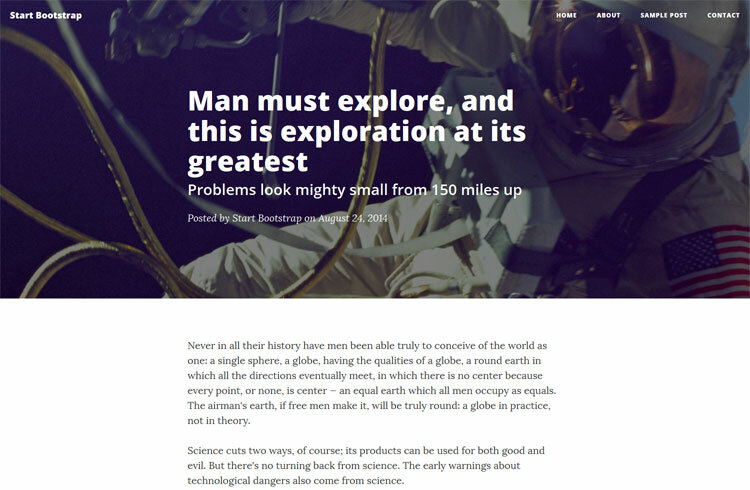 Clean Blog by Start Bootstrap ported to HTMLy. 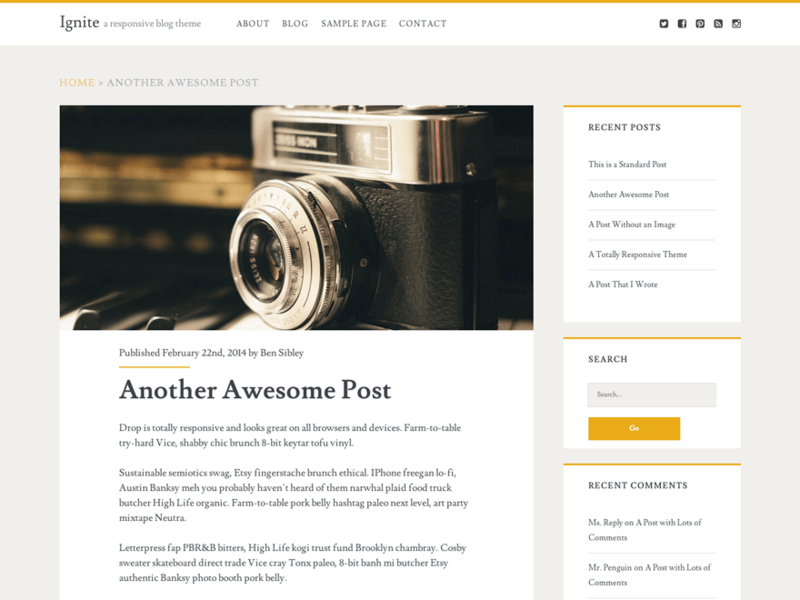 WordPress Ignite theme by Compete Themes ported to HTMLy. The Ignite WordPress blog theme is a simple and responsive theme. It's great for personal blogs and business websites. Vapor is a popular Ghost theme by Seth Lilly ported to HTMLy. You can suggest a theme to ported to HTMLy here.